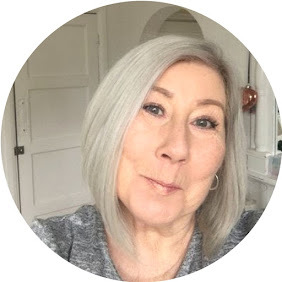 Una Brennon, London based facialist started her own skin care range Super Facialist back in 2012 it now has a cult following of loyal dedicated fans, and I wanted to find out why. The range has something for every skin type and you can mix an match to your hearts content, I have heard a lot about this brand being great skincare at an affordable price, which has to be said is the claim of lots of brands as a great selling point. In this post I am featurning the Retinol + range designed for Anti-Ageing. I love and adore anything containing Retinol for me it is the one single ingredient that shows it's working, if you are new to Retinol you are advised to use this product in stages building up to everyday use, My skin is not new to it, so dived straight in. I have to admit to being slightly cynical when trying this brand, often I am put off rather than sold to when something is so hyped, I tend to think " here we go" maybe it's age or a cruel life that has made me so cynical ha ha, but whatever it is I am not easily sold. Firstly I love the packaging which I know isn't important but always helps, I don't usually mention prices in my posts but am making an exception with this range just so that we can see if it's value for money. Lightweight, easily absorbed and beautifully fragranced this cream literally sank into my skin and disappeared within seconds, it left the skin feeling super moisturised with a good feel to it, you knew there was something there without it being visible, the cream itself contains Hyaluronic Acid, Shea Butter and anti oxidant rich White Tea. My skin not only felt great all day through to the evening it actually looked brighter and more alive, I tested this under foundation with no primer, both liquid and cream foundation applied beautifully and held in place with no oiliness. I love the fact the whilst almost identical this jar comes in a darker shade to the day cream, my reasons are that I don't want to be reaching for my reading glasses at night when applying products, and more often than not brands make identical looking products, which frustrate the backside off you if you have to peer at the label to determine day and night! Oh my lord, this night cream is a star it really will be one that you reach for every night knowing that come morning you will literally be checking out your skin in the mirror, slightly richer than the day cream, although not by much - again your skin drinks it up like a thirsty Cactus, containing Hyaluronic Acid, Sweet Almond Oil, White Tea and White Lupin seed extract to name a few your skin is literally treated to goodness overnight while you sleep. I have used both of the products above alone, and with this serum, great alone, superb with serum, the difference is visible, I have used the serum under both the Day and Night creams on clean skin and it somehow makes a huge difference at locking in moisture. Designed to target wrinkles, uneven skin tone and lack of radiance the serum is sheer perfection, the difference in skin tone and texture is visible, fine lines are softened and your skin is left glowing, even if you are a lover of another brand of moisturiser or night cream I would still recommend using this as a base. Again it is wise to build up to using Retinol if you have sensitive skin or are a new user, and don't forget that you will need an SPF always as your skin will now be more sensitive to UV rays.